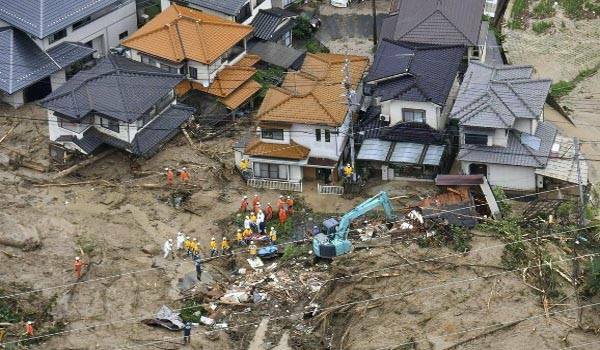 Tokyo: Flooding and landslides have killed at least 60 people and left dozens missing in western areas of Japan, according to a BBC News report on Sunday.Most of the deaths have occurred in Hiroshima prefecture, which has been hit by torrential rain since Thursday. Hundreds of homes have been damaged.About 1.5 million people have been ordered to leave their homes and three million more advised to do so. Authorities say it could potentially be the worst weather disaster Japan has seen in decades. Prime Minister Shinzo Abe said the authorities were facing a "race against time" to save and evacuate people.